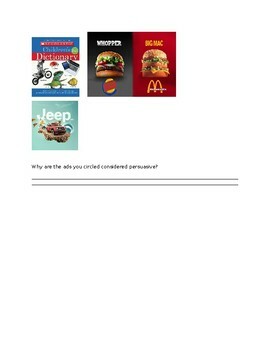 A great center or pre assessment activity that allows students to circle persuasive ads out of a mixture of images. There is also a short written response at the end. It is a one page document even though it previews as two.